Trust Home Depot honors all the Dads with a week-long Pop-up Shop from June 12-18, 2017 aptly called, “Props to Pops”! As the head of the household, fathers are often too caught up in their efforts to provide for their families that they forget to pamper themselves. What better way to reward our dads than with personal products that will uplift their spirits and make them look and feel their best? 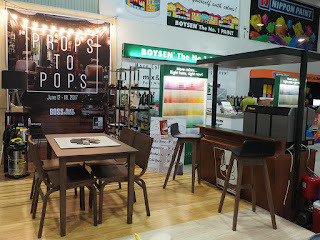 Trust Home Depot has partnered with Boss Barbershop, Eight Wolves and Basti’s Brew to provide gift ideas and treats for the man who deserves our love and gratitude. For every P2,500 single receipt purchase of products at Trust Home Depot, you will receive a P50 gift voucher for haircuts and services from Boss Barbershop. 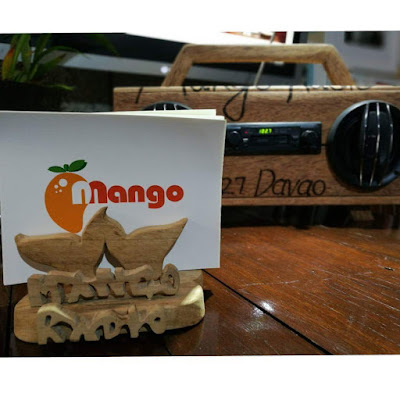 Mango Radio 102.7fm, a Faith-based talk and Christian music radio station in Davao is back on air. With its recent rebranding, Mango Radio now broadcasts to a more larger and wider audience adding up more musical and talk programs. Nine years ago, when a young Korean Pastor Hong Soon Kyo also known as Pastor Mike, a music lover himself used his knowledge in radio broadcasting to Communicate the Lord's gospel to the people in Mindanao. He believed that radio broadcasting knows no boundaries. Luckily, his prayers were answered when Pastor Mike and his Davaoeno team of radio enthusiasts received an invitation to block time over UR97fm Davao, UR 105fm Cebu and UE 103.5 Zamboanga.